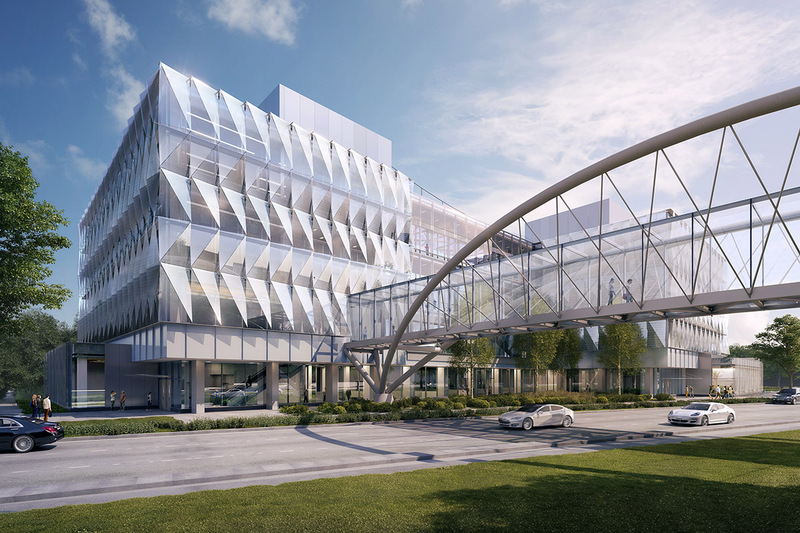 Construction on a pedestrian bridge as part of the Phil and Penny Knight Campus for Accelerating Scientific Impact will cause temporary changes to vehicle and pedestrian traffic on Franklin Boulevard from the end of April through most of the summer. Starting April 29, the outside lane in each direction of Franklin Boulevard — the northernmost westbound lane and southernmost eastbound lane — will be closed between Agate Street and Onyx Street. This will reduce auto traffic to two lanes in each direction. The change will be in place between 5 a.m. and 9 p.m. until late August. Drivers will see signs warning of the Franklin lane closures starting at Moss Street on the westbound side and just past the intersection with East 11th Avenue on the eastbound side. During the lane closures, Lane Transit District bus stops on the affected stretch of Franklin may be adjusted. The EmX bus will continue to run throughout the construction period with certain times when the buses will be integrated into standard traffic lanes along that section of Franklin Boulevard. Sidewalks on both sides of Franklin will be closed, and marked pedestrian detours will be in place. The pedestrian detour on Franklin's south side will stretch from Onyx to Agate streets, with detours routed along East 13th Avenue and the walkways that connect the UO's science buildings. A pedestrian detour on the north side of Franklin, along the millrace, will remain in place. From early July through late August, crews will work overnight to complete elements of the bridge that span the roadway. Plans call for evening traffic — from 9 p.m. to midnight —to be reduced to one lane in each direction on Franklin, and for overnight closures — from midnight to 5 a.m. — to occur with posted detours. Detours will use Agate Street, East 18th Avenue, and Patterson and Hilyard streets. Specific dates will be announced soon. Updates, lane closure schedules and detour routes are available on the Knight Campus website’s construction and traffic section.